Powder paint, colourful decorations and fire: this week's Worldly Wise assembly looked at the excitement surrounding Holi festival. 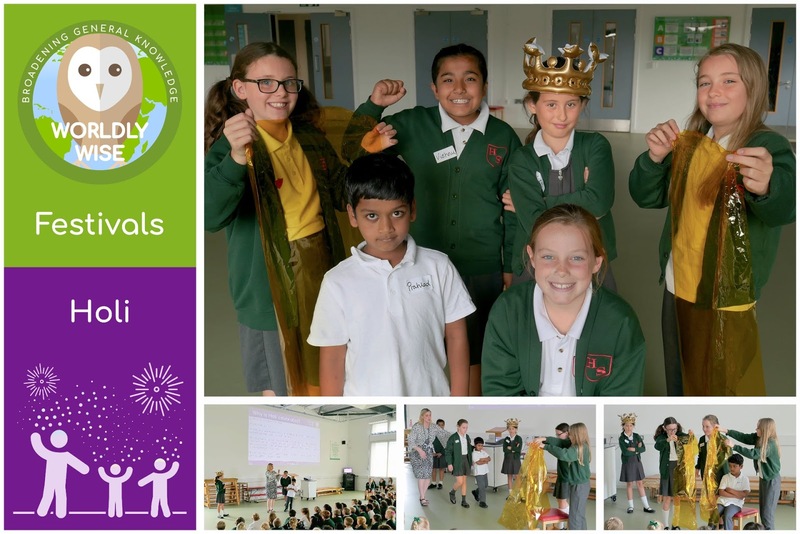 As well as learning about the fun that surrounds this festival, children were impressed by the acting of a number of our pupils who recreated the story of the festival's origin. Remember to look through your Wordly Wise booklet to see what exciting festival we will be learning about next week.